Only standing 1:24 figures. 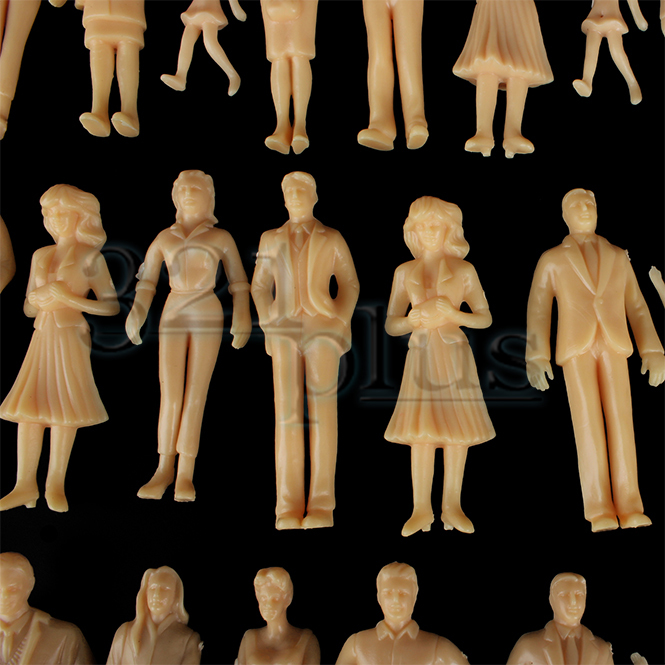 This set of 1:24 scale figures & people contains 100 pcs. of randomly mixed architectural modeling figures. Unpainted male, female and child 1:24 figures with a max. height of 76mm. Humans for G gauge model trains & scenery. • This offer contains 100 pcs of the pictured items. • Item Size: Length: 14 mm (0.546 inch). Width: 30 mm (1.17 inch). • 100 pcs. of unpainted 1:24 figures. This set of 1:24 figures comes unpainted and in a bag of randomly mixed 100 pieces scale figures & people. 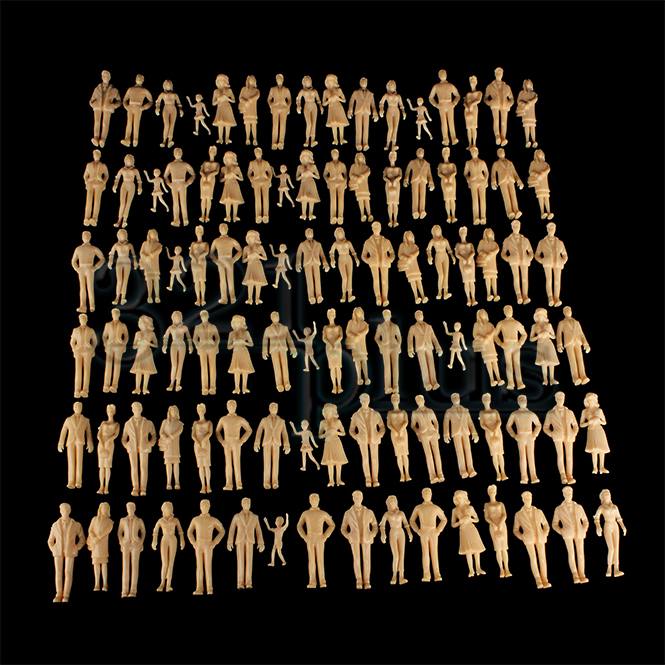 The set contains male and female figures all in standing postures. These 1:24 scale figures & people have a max. height of 76 mm and are perfectly usable for G gauge model trains or any other 1:24 or 1:25 scaled architectural modeling scenery. 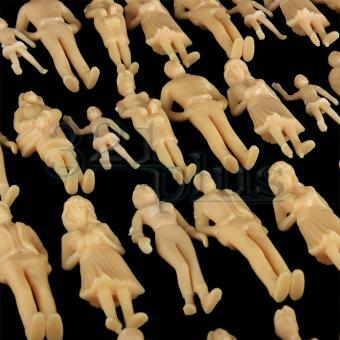 Each set is mixed of 3 different male, 3 different female and 2 different types of child figures. Altogether each of these set offers has 100 pieces of randomly mixed 1:24 figures. Here in our 321plus shop we also can offer some 1:24 figures in sitting postures but due to the fact that some model builders prefer only standing figures we have created this set of only standing 1:24 figures in an unpainted set offer.